My blog friends Pam of Simple Details, Lisa of Shine Your Light, Kris of Driven by Decor and I are back today (and the first Tuesday of every month) for this month's feature of My Favorite Five. Today we're sharing our favorite DIY projects. I think I love DIYing so much not only for the money it allows me to save, but also for the unlimited creative and custom options it opens up for me. So many times I have a picture of what I want in my head, but can't find what I'm looking for at the right time or for the right price. So, bring on the DIY! This month we're happy to welcome our guest host Cyndy from The Creativity Exchange. I love following along with what Cyndy is up to, especially on Instagram. 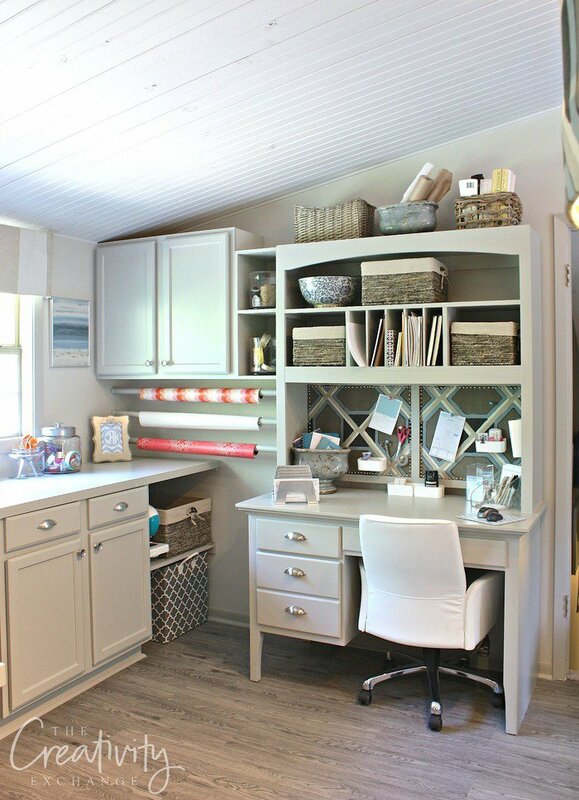 Painting is her first love and she creates the most beautiful abstracts, but check out her amazing craft room/office that was recently featured by Better Homes and Gardens! 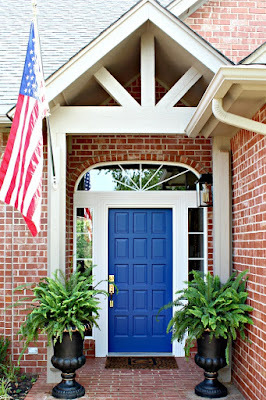 Be sure to hop over and visit Cyndy today, I'm curious to read about her top 5 DIYs. 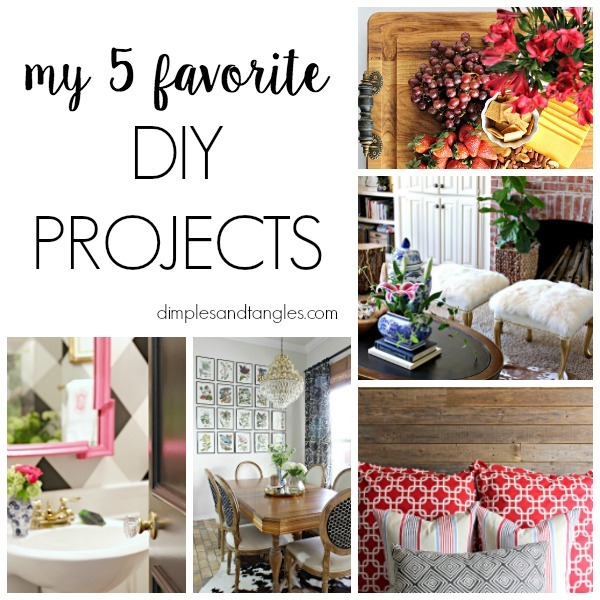 When you're a DIY/Home blogger and your house is FULL of DIY projects, it's really hard to narrow down the favorites list to just 5! I'm including the whole room, because it was all one big DIY project! 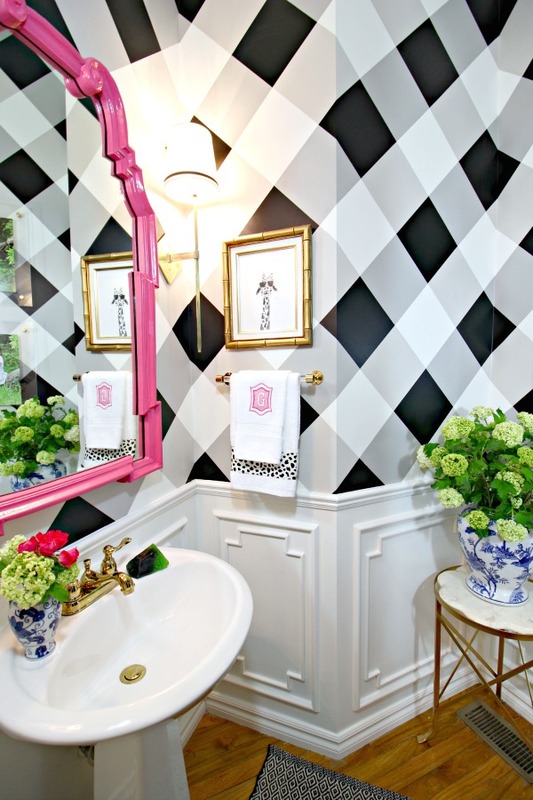 From the hand-painted gingham wall (tutorial coming tomorrow!) 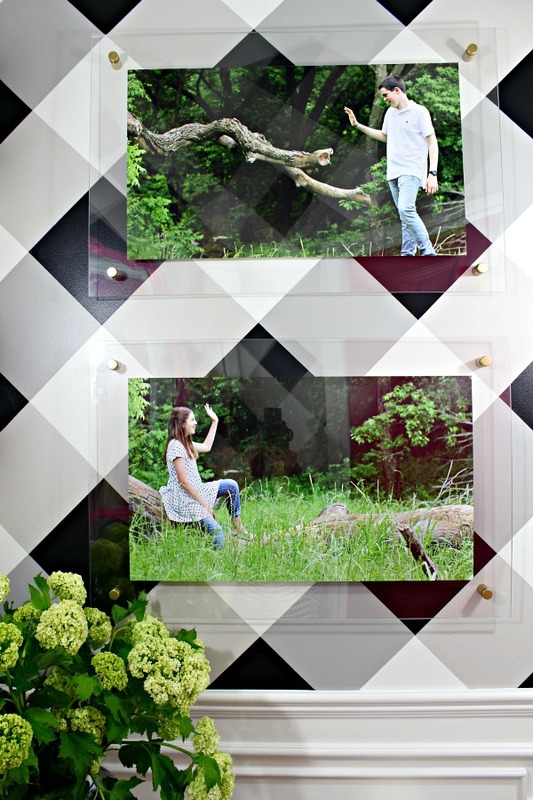 to the custom wall and door moulding, to the DIY acrylic frame artwork, this room put my DIY as well as my math skills to the test! 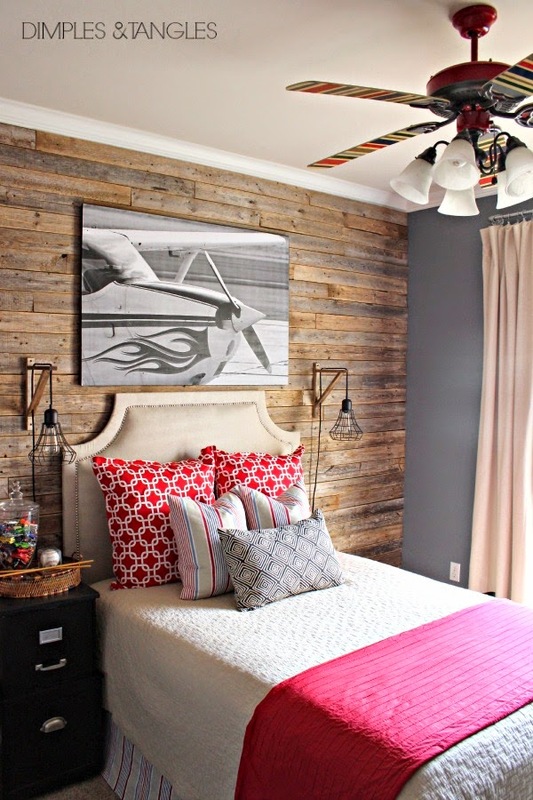 The rustic wood wall that we added to my son's room was an easy choice as one of my favorite DIYs. After a day or two of work (and a bajillion cuts!) we completely transformed the look of his room and added an interesting focal wall full of warmth and texture. DIY doesn't have to involve scary power tools, hours of man power, and tons of skill. 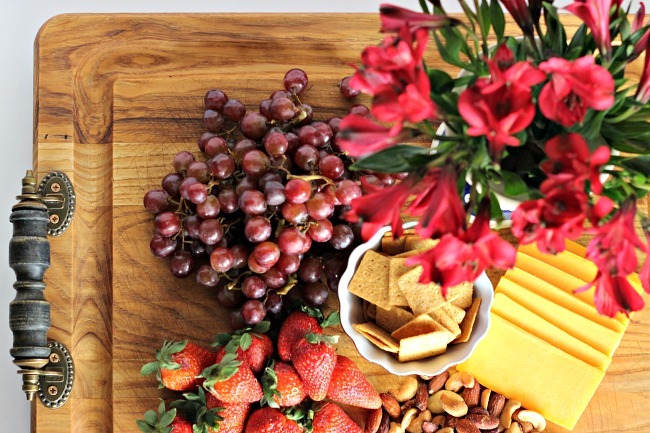 This upcycled serving tray is one of my favorite simple, 5 minute projects. By adding some handles to a plain wood cutting board, I created a chic tray that works just as well for displaying a vignette in the kitchen as it does for a serving piece! I bought this pair of ottomans off of Craigslist and they've gone through a few makeovers, but this version is staying for sure! Inspired by a pricey Horchow piece, I used a fur coat from the thrift store to cover the tops. My feet were just resting on them while watching a movie last night, it's impossible to not rub bare feet across them, they're so soft! 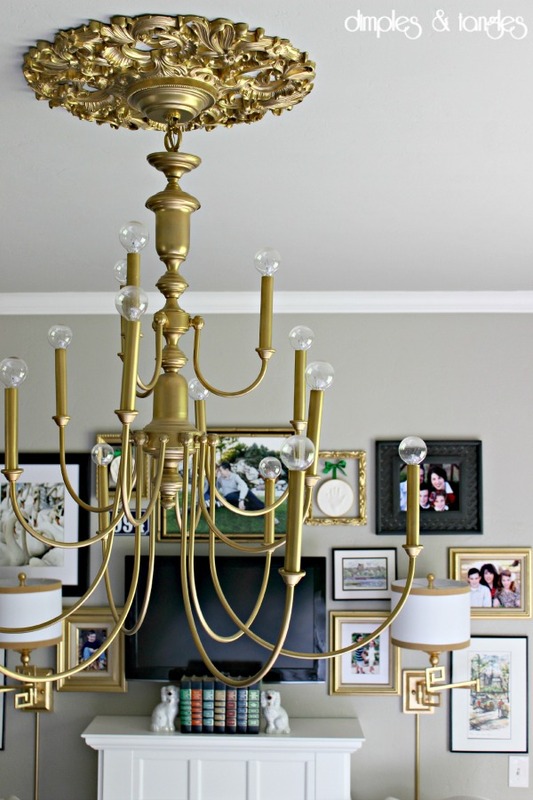 I think this is such a favorite for me because it's made a big impact and filled a large space for not a lot of money. Also, it's pretty classic and timeless. I've had it hanging for about 4 1/2 years (a record around here! ), and I'm not tired of it yet. 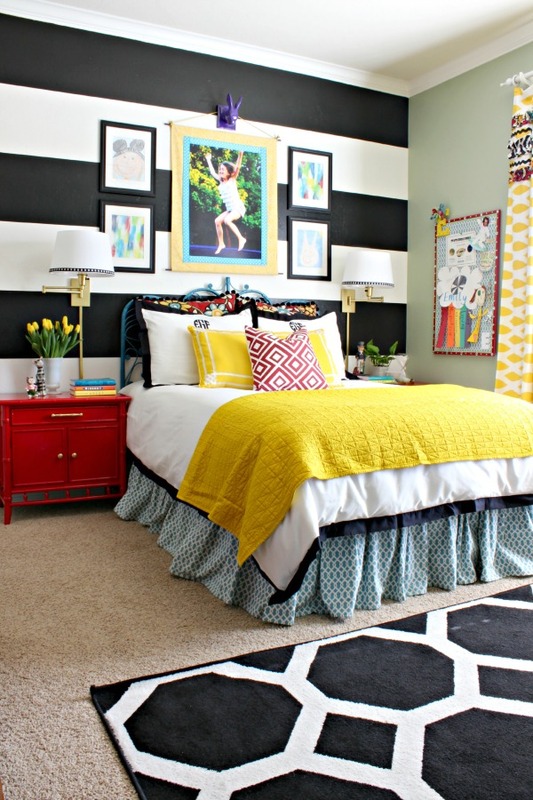 Bold black and white striped wall- Again, big impact for minimal cost and effort. 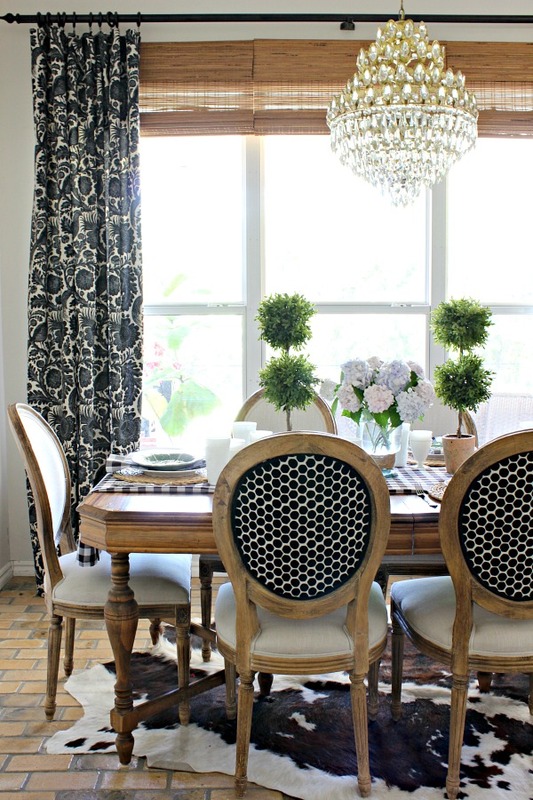 Patterned fabric added to chair backs- quick, temporary, no sew, and no reupholstery! Craigslist Chandelier and Clock Face Makeover- This $20 fixture and $10 old clock came together for a unique statement lighting piece in our Master Bedroom. 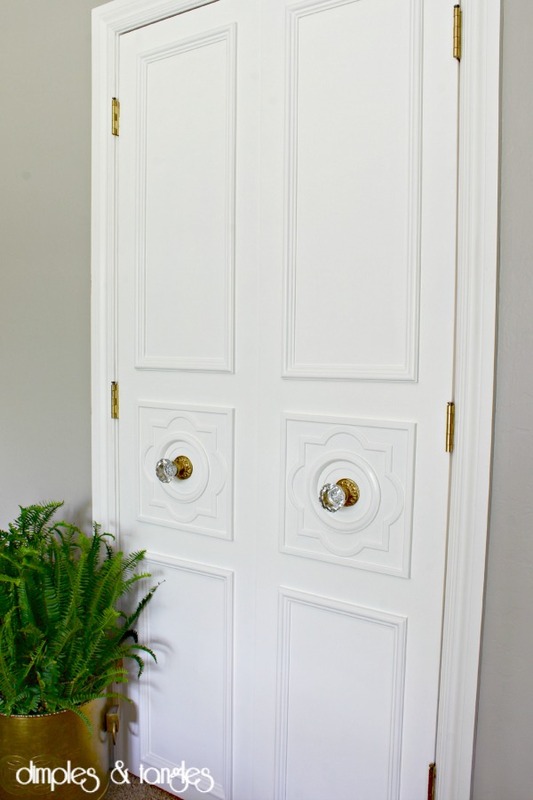 Custom Door Moulding- How I used a plastic ceiling medallion to add interest to doors. 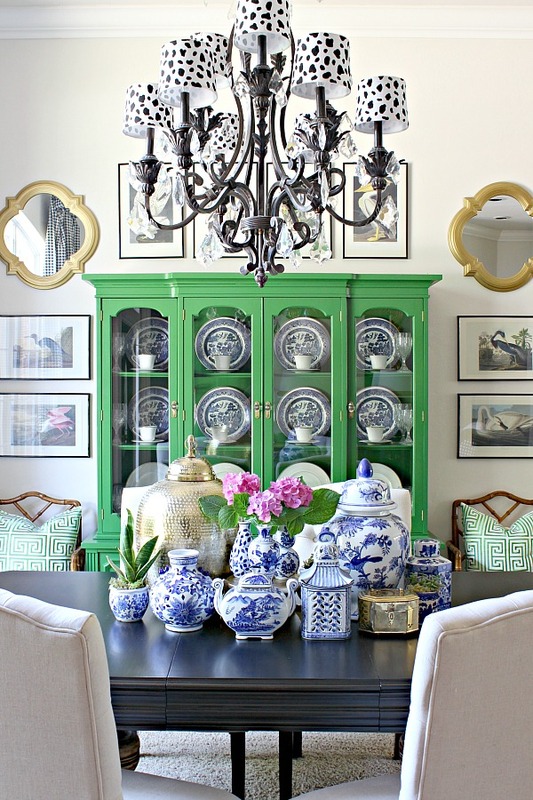 China Cabinet Makeover- Although this piece had a rough first life, with a little vision, elbow grease, and paint it's now the star of the Dining Room! Be sure to head over to Simple Details, Shine Your Light, Driven by Decor, and The Creativity Exchange to check out their favorite DIY projects- I know you'll find tons of inspiration and be ready for your own DIY project! 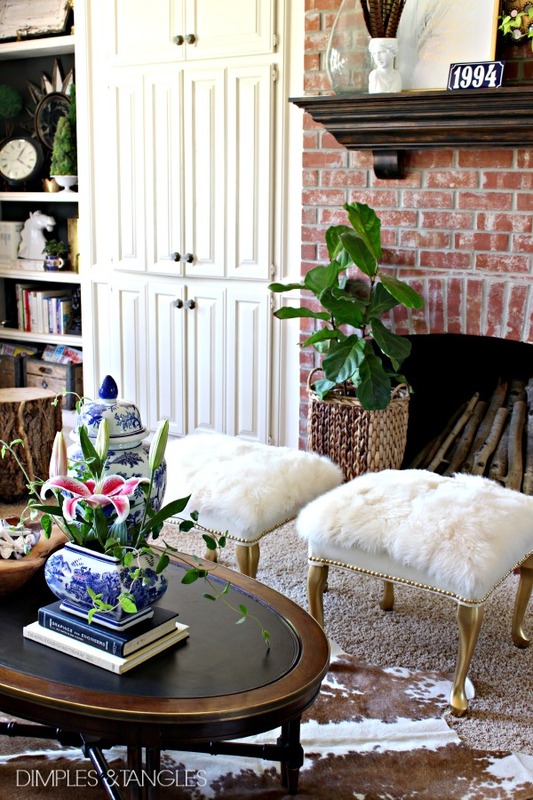 Ooooh this was fun, I forgot about the furry stools and that tray is one of my all-time favorite quick DIYs that you shared! So smart! You are a constant source of decorating inspiration my friend! Holy moly, how could you choose?!! 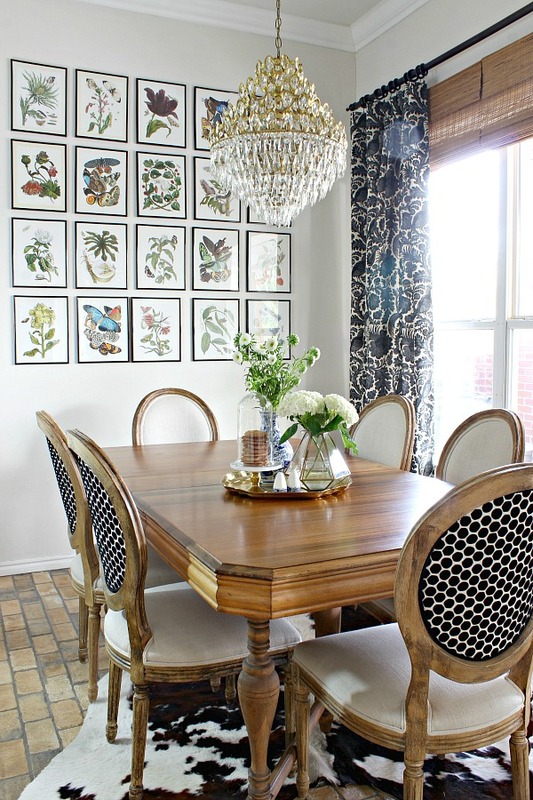 Love all your creativity friend, but I think if I could swoop in and steal something those dining room chairs would come to my house! :) So clever! Oh Ilove them all, and so many more. 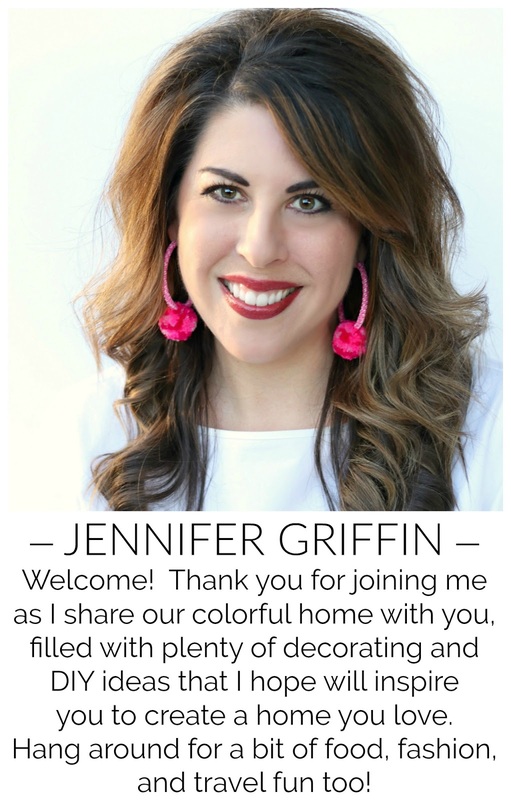 It's so hard to choose a fave among your fab projects Jennifer! My fave is the planked wall! It's crazy seeing all of these amazing projects in one place - you have knocked out some killer projects my friend!! I absolutely love your use of color! Such a happy home! Thank you Joette, color makes me happy for sure!